Francis Cardinal George's red hat, called Galero, is raised to the rafters at Holy Name Cathedral Sunday. 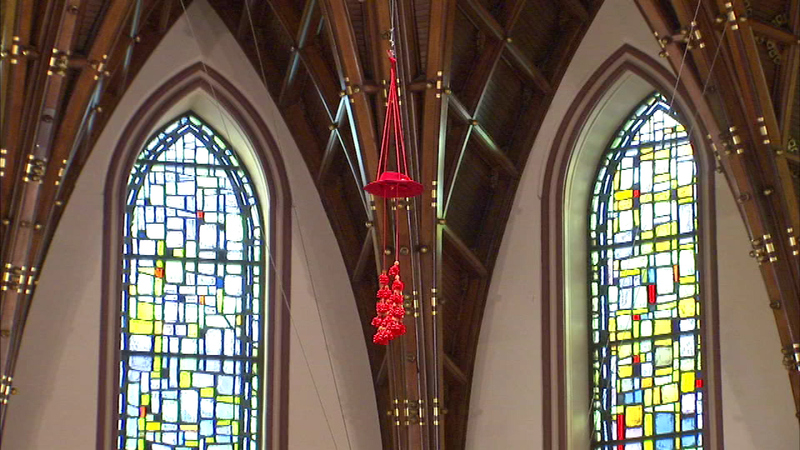 CHICAGO (WLS) -- Sunday marks one month since Francis Cardinal George passed away from cancer and his red hat now hangs from the rafters at Holy Name Cathedral. The red hat, which is called Galero, was raised during Mass Sunday night, joining five other red hats from other cardinals who have passed. The red hats hang in the cathedral until they crumble or fall. Cardinal George passed away after a long battle with cancer. 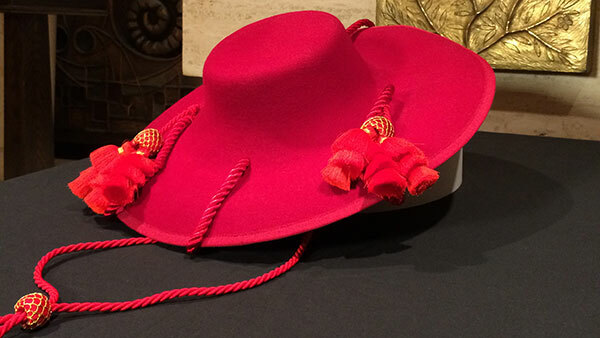 On Sunday, Cardinal George’s galero – a ceremonial red hat traditionally worn by Catholic Cardinals until the 1960s -- will be hoisted to the ceiling of the church.